Elaine studied at the University of New England (UNE) and attained the Bachelor of Nursing, Graduate Certificate in Acute Care Nursing and Master of Nursing. She has spent 10 years working predominantly in Intensive Care, High Dependency and Coronary Care areas as a Clinical Nurse Specialist (CNS). 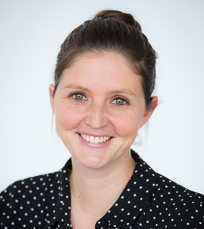 She also has experience in Emergency, Operating Theatres, Recovery, Medical/Surgical Nursing and was the Clinical Coordinator of the Armidale Rural Referral Hospital Critical Care Unit. Elaine joined the academic team at UNE in 2010 on a casual basis and was appointed permanently to the team in 2014.